Leonard Maltin's Movie Guide was first published in the US in 1969, and its final edition appeared forty-five years later. That edition was reprinted last year, with a new subtitle (The Modern Era). 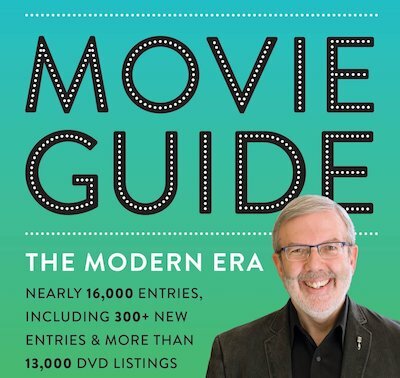 Misleadingly, the cover claims "300+ NEW ENTRIES", though as Maltin makes clear in his introduction, there are "no new reviews in this volume." The book includes capsule reviews of films released since 1965, along with selected older classics. Most pre-1965 reviews were moved to a different book, the Classic Movie Guide, though this resulted in some duplication and inconsistency. Many pre-1965 films are reviewed in both The Modern Era and the Classic Movie Guide, and The Modern Era's cross-referencing to the Classic Movie Guide seems arbitrary. Also, foreign-language films are listed only by their English titles, with no alternative title index. The annual film guide is now a thing of the past, as the last remaining example, the Radio Times Guide to Films 2019, had its publication cancelled this week. (The Guide to Films 2018, published last year, is now the final edition.) Maltin's closest UK equivalent, Leslie Halliwell's phone-directory-sized Film Guide, ended ingnominiously in 2008 as The Movies that Matter. The superb Time Out Film Guide ceased publication in 2012. The Virgin Film Guide and Empire Film Guide, both offering longer reviews of fewer films, ended in 2005 and 2007, respectively.